Ours was extremely busy, but very nice. our BIL & family joined us on Sunday. was spending time with our baby boy. And now, before we start another week and another link party, lets take a look at some of last week features. Debbie at DEBBIE-DABBLE shared her beautiful Summer front yard and porch. Christine at Little Brags created some very pretty and cozy outdoor spaces. 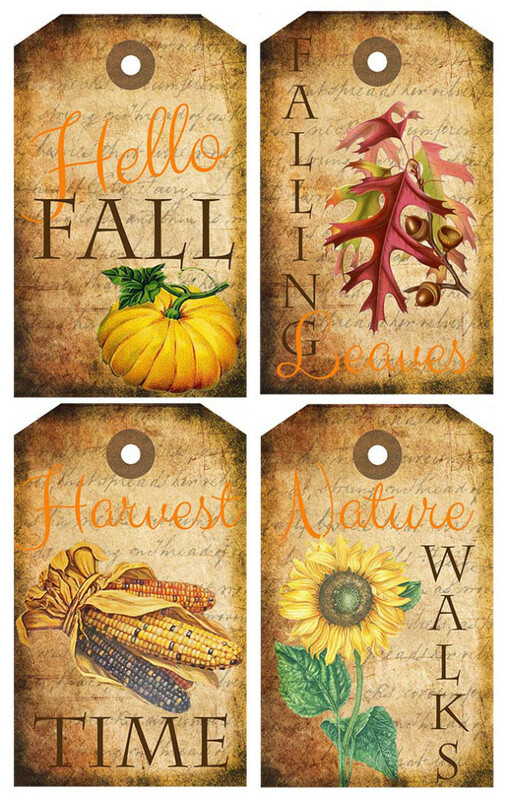 Michelle at The painted Hinge was so kind to share with us this gorgeous free printable Fall tags. 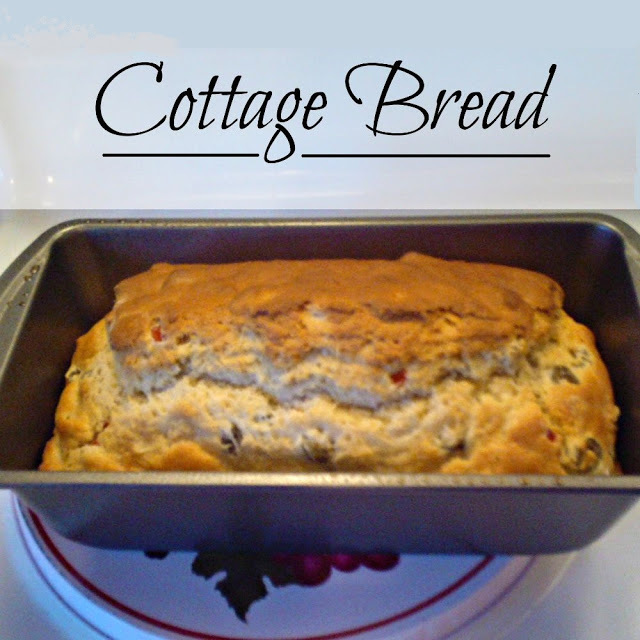 Kathi at Oak Hill Homestead shared an amazing recipe for Cottage Bread. 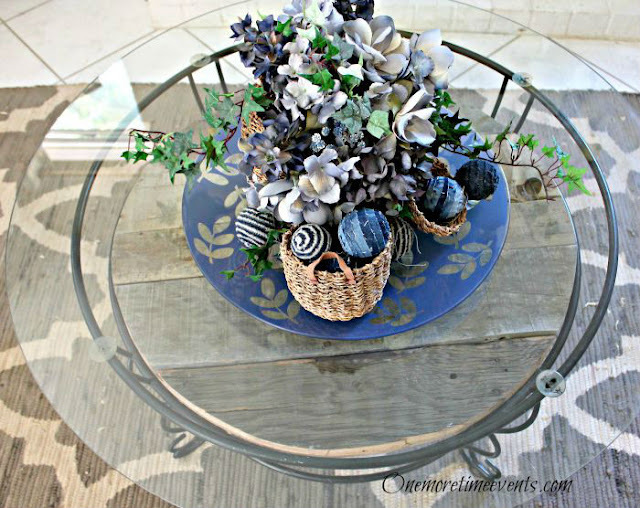 Tammy at One More Time Events turned a thrift shop find into a beautiful pallet wood coffee table. 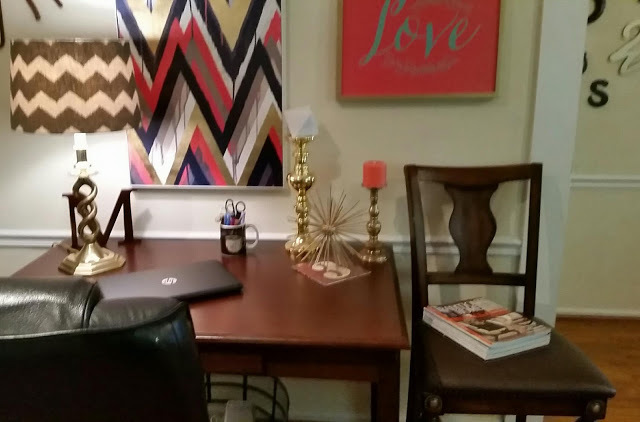 Susan at MiMi'z Houz shared with us her work space. Oh, your grandcutie has grown a lot lately and yes, I would eat him up with kisses too! Mt DD Alex is in beautiful Marbella as of right now. Lucky her! Thanks for the party and have a lovely weekend Maria. He is getting so big Maria Elena! And so CUTE! Thanks for hosting dear! Your grand baby is adorable!! Thanks so much for the feature and for the party!! 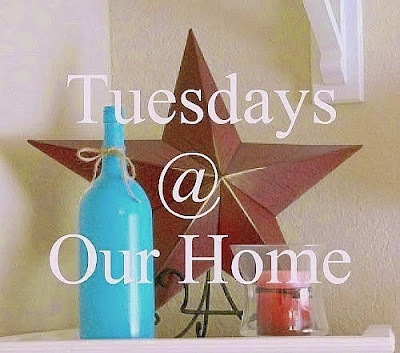 I will be giving you a Shout Out in my next post and on Google +! Thanks again!! That baby is just way too cute. Those cheeks! Adorable!! 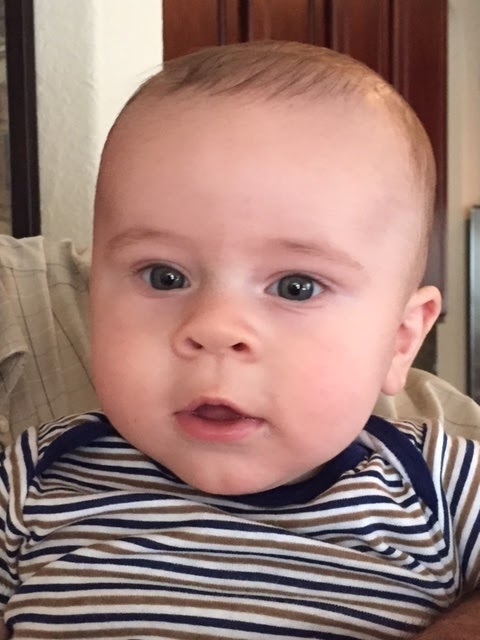 Maria... First, I can't get over how adorable your Grandson is...What a cutie! Second thank you so much for featuring our reclaimed palltet coffee table, what a wonderful surprise! Oh boy he is just adorable and so huggable! Sounds like you had a very nice weekend! Hello Maria! Thank you so much for featuring my Fall tags as one of your features this week! :) Have a great week! Thank you Maria for Tuesdays At Our Home 125. Love seeing the features and joining in. Have a great week. What a wonderfully fun party tonight Maria! Thanks for hosting. Looks like this week has some great pins. Thanks so much for featuring My Workspace and hosting such a great party. Enjoy your day. Thank you for featuring my Cottage Bread recipe on this week's party - how exciting!! Hi Maria! Oh, your little grandson is adorable. They grow up so fast! Thank you so much for hosting your party and I'm off my break from the summer of not joining parties. I'm glad to join you today. That baby is ADORABLE!!!! I can see why you want to shower him with kisses! CUTE baby!!!! Those cheeks!! Thanks for hosting! Oh my gosh, Marie Elena, that baby is just too cute and getting so big!